Today there are various solar design tools to help solar consultants or solar developers with designing solar power systems. Unlike traditional solar design tools, solar design software makes it easy to sketch, design, and share solar projects very easily in very little time. Solar design projects are created from the concept stage to detailed design stage applying online solar tools using Google maps, LIDAR and pulling data from various sources to calculate solar irradiation or solar potential. These solar design tools will also capture very useful information using Google Maps or LIDAR to show solar access points where solar panels will be placed whether on ground or on rooftops. A brief review of some the common solar design software tools is provided here for anyone interested in solar design of residential or commercial solar PV systems. HelioScope uses a component-based system to model different solar components in an individual basis and then integrating these components into one integrated full system. A component-based model treats each module, each wire and each inverter or each piece of the system and models each one of them on standalone basis. As a result, all data for the standalone models must be incorporated into the software in order for the software to show the results of the PV design. Any solar design work done using Helioscope can be downloaded into your computer and shared with the rest of the team since this system runs on cloud based machines, hence can be accessed easily depending on where you want to conduct solar design work. HelioScope is one of the solar design softwares that can be used to model all types of solar designs including commercial solar PV systems, residential system design as well as ground-mounted PV systems. SolarDesignTool is a great solar design software which combines and streamlines the process of solar permitting. As such, this solar design tool can help you to prepare your solar PV system and helps to submit your detailed PV system layout with the required paperwork to the relevant licensing authorities. In a nutshell, the SolarDesignTool helps you to define your site, design your solar PV system and has a database for different solar panel brands and a resource to expedite your plans for obtaining solar permits. This solar software design tool will help trace your roof top or ground areas and any obstructions using aerial imagery and will quickly enable you to sketch the diagrams of your PV system while helping to define the dimensions of the PV solar system. The platform has a database of most of the manufacturer datasheets for different solar panels available in the market as well as some of the common solar certifications like the UL. EasySolar APP is one of the solar design software that has revolutionized the process of designing solar designs since it can be downloaded on the phone and used to design solar PV projects within minutes. The EasySolar App uses Google maps, photos made using your phone or sketches to design your PV solar system. At the same time EasySolar has a system to allow you to prepare solar quotes as quickly as possible also within minutes. Since this solar design tool is available in form of an APP, it is available from anywhere on any device and PV design projects can be shared easily with your project teams or solar customers using cloud technology as long as they are connected to the Internet. Aurora is an integrated solar design software tool that includes sales and financial analysis in addition to solar design. Aurora is one of the solar design tools that helps solar installers to perform detailed shading analysis within minutes to generate engineering documents, including the solar layout diagrams thus reducing design costs through time and money savings achieved by installers through this process. The Aurora design tool uses data collected through Google Maps, LIDAR and oblique imagery while using a modeling-based approach to calculate solar irradiance that are presented as heat maps to visualize the irradiance solar access values for any point on the rooftop or where solar panels will be installed. 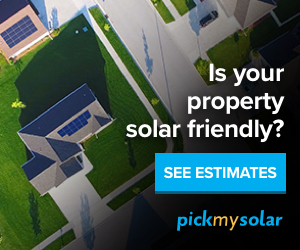 How much solar energy can I generate on my rooftop? What solar financing schemes can help you achieve most money savings? Where can I get solar developers or solar installers to help you design your solar PV system? You can also get in touch with us if need any help when it comes to knowing whether going solar is right for you?